Uber is putting $10 million behind sustainable transportation over the next three years. As part of the fund, Uber is donating $250,000 to SharedStreets, a nonprofit organization focused on creating a shared standard for public streets and data sharing. Lyft, also in the name of environmental impact, invested millions of dollars in carbon offsets earlier this year. This comes a few months after Uber announced its plans to work with SharedStreets in Washington, D.C. to collect and share transportation data. At the time, Uber CEO Dara Khosrowshahi explained the plan was to launch a pilot to share data on curb usage across all models of transportation, and eventually partner with other cities around data. Uber also intends to put that money — $1 million of it, to be exact — toward campaigning for a congestion pricing campaign in New York City, and pushing for a policy “that moves us to a more sustainable future,” Uber Head of Transportation Policy Andrew Salzberg told TechCrunch. On the bike front, Uber is funding PeopleForBikes, a coalition of bicycling suppliers and retailers. 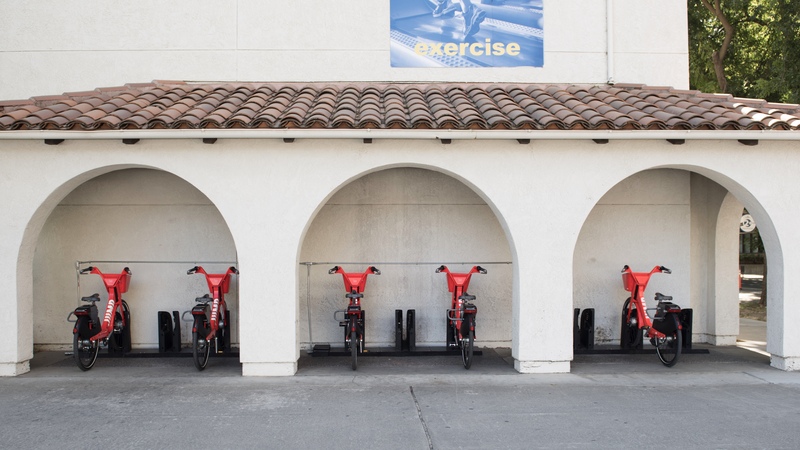 Separate from the $10 million commitment, Uber has launched electric bike charging stations in Sacramento, Calif. Even though Uber-owned JUMP bikes are dockless, they still need to be charged. In Sacramento, there are already 50 chargers on the ground. The goal is to get 300 installed by the end of the year, across 35 locations. 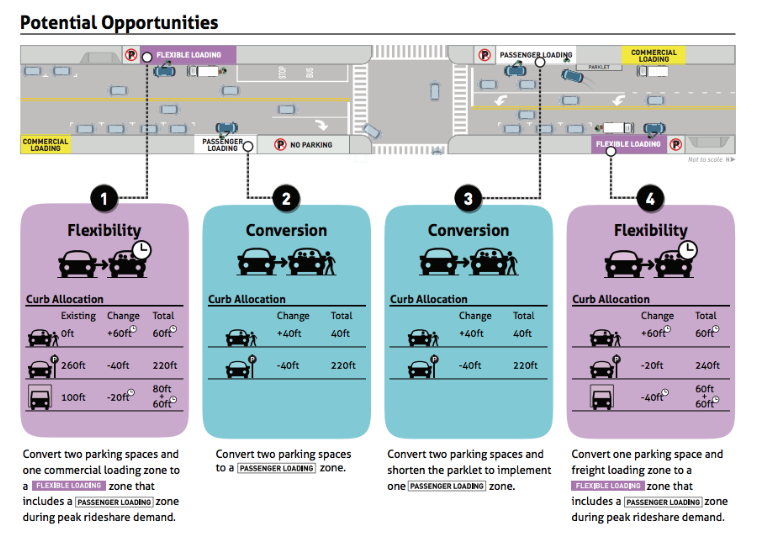 Up until today, Uber had been working behind the scenes with Fehr & Peers, a transportation consultant, to outline suggestions for how cities can better utilize curb space. The firm went as far as to develop a curb productivity index that calculates the amount of people using a curb per hour, per 20 feet of curb, which is about the size of a parking space. With this current report, Salzberg says the idea is for it to act as a resource for all cities — not just for San Francisco. Whether or not cities get on board with this plan is another story for another day.